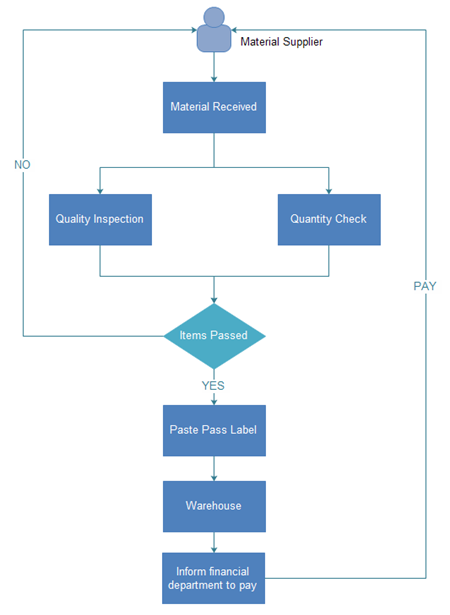 How to draw a quality control process flowchart and present the procedure visually? 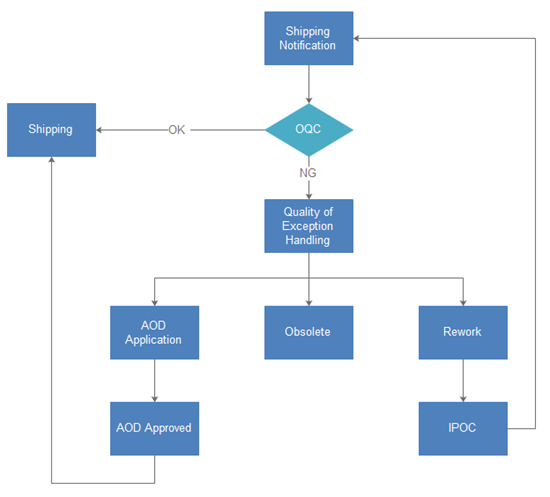 Read about this major introduction on quality control and view the flowchart examples to help you start. What is Quality Control Process? Quality control is a process intended to ensure that product quality or performed service adheres to a defined set of criteria or meets the requirements of the client. Through the quality control process, the product quality will be maintained, and the manufacturing defects will be examined and refined. The quality control process is divided into three separate processes, which are IQC (incoming quality control), IPQC (in-process quality control) and OQC (outgoing quality control). Incoming quality control is the process to inspect the raw and component materials from suppliers upon arrival. When detective parts are found, you need to negotiate with the supplier for return or exchange, and the final purpose is to make sure your product quality will not be affected. Below is a sample flowchart of the IQC process. IPQC refers to the quality control during the assembly process. It is very important because you can detect and handle the problem that accurs ahead of time. OQA is the inspection of products before shipping. It's a crucial step in ensuring the shipment is defect-free. 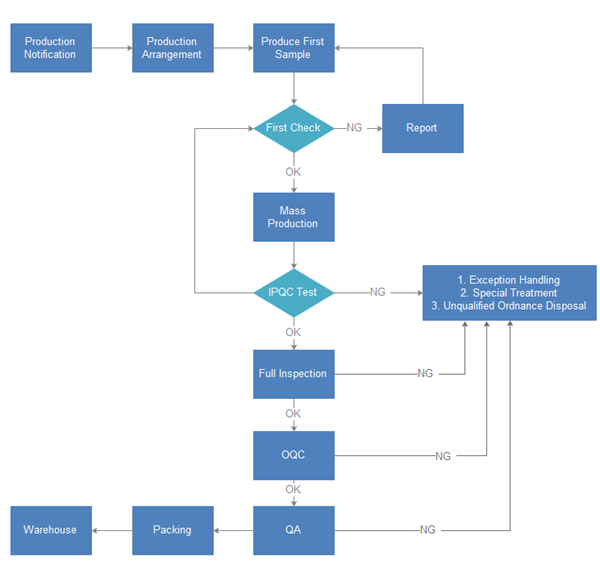 How to Draw Quality Control Process Flowchart? It's fast and easy to design flowchart for quality control process using our software which contains amazing features to help you begin. 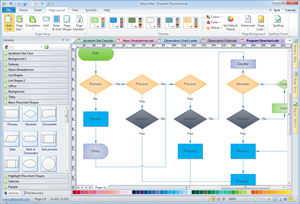 It has embraced as one of the top flowchart makers due to its large collection of symbols and easy users interface. Through years of hands-on experience, Edraw has introduced many improvements and new technologies to its new generation of the flowchart program. You will experience a much easier and smarter way for making flowchart. If you want to make flowchart from examples, you can click Flowchart Example Center to view and download more examples. 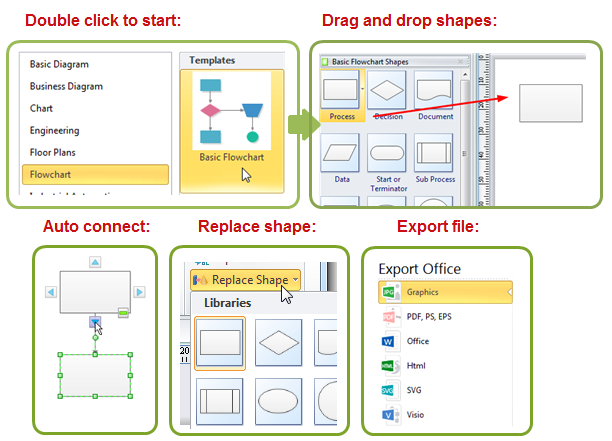 If you need to export the flowchart to other formats, you can click Export Flowchart to Excel, Word, or Powerpoint. You may also want to read Create Flowchart for Document Management, Use Flowchart to Manage Projects, and Create Resignation Process Flowchart.